Snowdrifters Guest House » Welcome to Snowdrifters Guest House! Welcome to Snowdrifters Guest House! 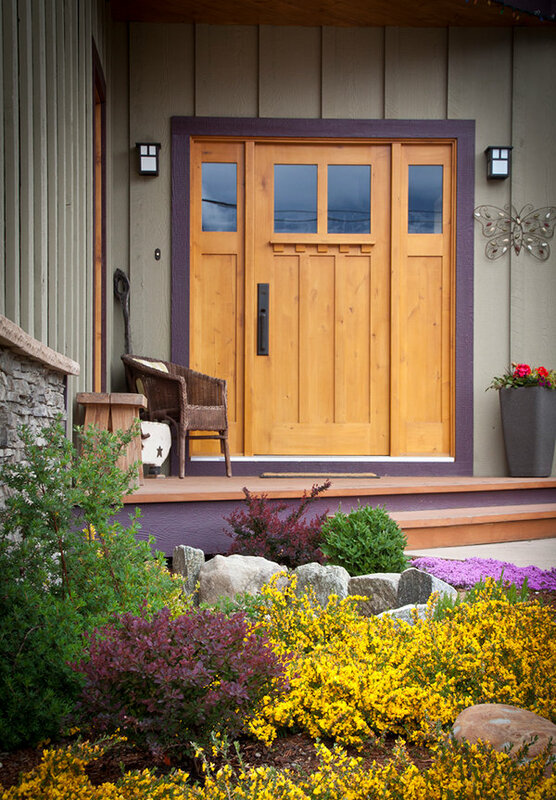 Snowdrifters Guest House is a bed and breakfast located in Revelstoke, BC, Canada. Welcome to our new website! Please contact us to book your stay. Posted on September 30, 2012 by Sheppards. This entry was posted in General and tagged Revelstoke Accommodations, Revelstoke Bed & Breakfast. Bookmark the permalink. We have stayed in many B&B’s and nothing was like this one, the hospitality and warmth was amazing. Truly this place made our winter getaway, Will be returning! Up to date, clean and very comfortable! Quiet location in town just a few blocks from the main road through town and a grocery, only a few minutes up to the ski area or downtown. Great hospitality, helped us get discount lift tickets and guide us to the best restaurants, even got a day riding with the owner up on the mountain. I had the pleasure of staying here during a weekend ski camp in Revelstoke. The apartment is very tastefully decorated – a perfect mix of modern and comfortable. It’s also close to everything and easy to navigate from. More than that, however, our hosts were FANTASTIC. They ensured we were comfortable, even providing us a small tin of coffee outside our door without us asking. When I came back to the place on Saturday night on crutches because I hurt my knee, they came down with every ice pack they owned and allowed me to stay in their place as long as I needed to on Sunday. I would stay here again in a heartbeat! Our group of 5 came to Revelstoke and stayed at the Snowdrifters Guest House on a ski roadtrip through BC from Montana. All I can say is that if you are in need of lodging in Revelstoke, look no further. The apartment is beautiful, the hosts will go above and beyond to make your stay comfortable, and the location is ideal. This is truly a gem and you’re definitely making a mistake to stay anywhere else in Revy. Revelstoke Mountain Resort was fantastic and staying in town, in this unit, was a perfect complement. Ours was a group of 4 – two young couples – ~30yr-olds from NYC. We stayed 4 nights in mid-January. This unit suited us well in spite of two twin beds in the second bedroom. The hosts – a young, active family that lives upstairs – were super friendly, in a non-intrusive way. They seemed well woven into the fabric of this small ski town and were eager to provide “local intel” on food and activities outside of the ski hill. They graciously handled an inquiry about cooking oil with the deft of a manager at a 5* hotel (they ran out to the local supermarket and dropped it off to us in 5 minutes). While it was unexpected, it was certainly deeply appreciated. Travelers would be well-served is if all VRBO owners were held to their standard. The unit itself is very new and tastefully finished with plenty of attention to detail. The heat comes from the floor and fireplace. We felt toasty despite setting the heat to the bare minimum. The open kitchen was nice, spacious and well-used during our stay. The bathroom is well-sized and feature nice fixtures. The in-suite washer/dryer (Whirlpool Duet) was great, as was the Bosch dishwasher. The drive to town center is a few short minutes. The drive to the ski hill is only a little bit longer. Hopefully, we will return to Revelstoke and to the wonderful hospitality of Snowdrifter’s hosts. lovely place to stay in Revelstoke! We were very fortunate to find the Snowdrifters Guest House. The home was located just 5 minutes from town (a nice walk) and very close to the hill. We enjoyed a beautiful walk along the path close to the house and a very quick drive to the slopes. The suite was gorgeous and our hosts were sure to cover every detail so that we had an amazing stay. We will definitely be back to enjoy Revi snow and stay at the Snowdrifters. We found this place and booked it thinking we were getting a single family home. When we later realized it was a basement apartment, I was a little concerned. But, it turned out to be FANTASTIC! The space is well lit, and very roomy. You completely forget you are even in a basement. Excellent finishes, comfortable beds / furniture, and a great layout. Lots of little extras all over that really made us feel at home and welcome. Owners were EXTREMELY nice and accommodating, even let me bring my dog along when my sitter fell through last minute. Andrew showed us some pics of the mountain, and even revealed a few lesser known spots for us to explore. He even offered to give us a tour of the mountain on his own time. House is very close to everything, speedy WiFi, and all the amenities you would need. I would highly recommend this place, and will be sure to look them up next time I am in town. THANKS! I arrived here with my girlfriend and 3 other friends for a short, 2-night stay. Helen and Andrew were awesome, more than happy to answer any questions or hook us up in any way they knew how. The apartment was very well furnished, everything in tip-top shape. A short walk 10-15 min walk to the center of Revelstoke town, and about a 5-minute drive to the resort. I’d recommend Snowdrifters Guest House to anyone looking for a great place to stay in Revelstoke! Helen and Andrew and their two sons were perfect hosts. The place is neat, clean, well maintained and thoughtfully appointed. The photos and descriptions were accurate. I would most certainly recommend this place to anyone. I look forward to a return visit with them. If you are looking to stay in Revelstoke, I highly reccommend the Snowdrifters Guest House! Such a beautiful house and very clean. No detail is missed, you have everything you could possibly need. Feels like home. Comfortable beds. Very clean and tidy. Quiet and peaceful. Kitchen and bathrooms were well stocked with with everything one would need. Owner was wonderful to deal with before and during the stay. The most enjoyable vacation accomodation we’ve ever experienced! If you want to travel to scenic Revelstoke, B.C. and need a place to truly call “home” (not some stuffy hotel room), then this is your place! The basement unit is immaculate, inviting, comfortable, modern, full of amenities and charm. In a nutshell, it really did feel like a “home”. Returning from our daily vacation outings was a pleasure, because the unit was so amazing. From the cozy bedrooms, to the tasteful living room, to the beautiful kitchen and well finished bathroom, this place was impressive from the moment we stepped inside. Linens, towels, big screen TV, DVD player, every kitchen necessity including coffee maker and a supply of coffees, fresh milk and cream in the fridge, our own washer and dryer with detergent and dryer sheets… you name it, you got it, right down to the smallest of details. Had we not had a family wedding to attend during our trip, we may just have stayed indoors the entire week for an ultimate relaxation vacation. Not only was the accommodation 5-star, the homeowners were just as wonderful. Helen and Andrew and family went out of their way to make us feel welcome and comfortable. Our two children were welcomed by their own children, who were the politest boys you could ever meet. Our 4-year-old son did not want to leave largely because he enjoyed playing with them so much! Helen and Andrew provided anything we needed, far beyond expectation. They offered us transportation to and from our wedding (we planned on getting inebriated… hahaha), use of their belongings for travel excursions, and Helen even watched over our sleeping kids while we partied the night away at the wedding reception. And yes folks, they will have you well comfortable enough to do the same in no time at all. They are some of the nicest people you could meet. Since we have family living in Revelstoke, we will return again sometime. And we will without a doubt be staying here. If it’s booked, we won’t go. It’s that simple! Snowdrifters Guesthouse is worth every penny, and will make your vacation that much more enjoyable, we guarantee. We can’t say enough how great it was! Our family of 3 stayed for a week and it wasn’t long enough. The hosts were amazing and went above and beyond, so helpful in every way. We came to Revelstoke to visit family for a wedding. The accommodation was clean, comfortable and modern. It was a couple of blocks away from our relatives so we were offered the use of their bicycles and child bike trailer for our 1 year old which was wonderful. We definitely recommend staying here. We are family of 2 adults and 3 teenage boys and found Snowdrifters to be PERFECT for us. We were in Revelstoke to ski and it was a short drive to the mountain but also close enough to town to walk to shops, restaurants etc. The accomodation was clean, spacious and the hosts were lovely. Super friendly and had thought of everything needed for us . to feel welcome. A true home away from home!! 5 Star Rental for sure. wonderful spot and wonderful Hosts. We loved our stay in this basement suite. The owners are so nice and helpful . Above and beyond touchs like fresh flowers in all the rooms when we arrived and a bottle of champage for us as we were staying at New Years! Coffee beans and milk in fridge ready for morning coffee. It really has a lot of homey touchs. Nice kitchen and living room and the bedrooms are good size. Beds/mattresses good which is very important (bad back). Nicely located close to downtown restaurants and only quick drive to ski hill. We will be back! Warm, comfy and awesome hosts! Fantastic spot in Revelstoke to unwind and get in some great skiing/snowboarding! Guest house was very clean and well appointed, hosts are the best! We wish we could have stayed longer. Perfectly located close to town, and close to ski hill. Photos do not completely represent how beautiful and spacious the spaces really are. We will definitely return and we will be recommending this spot to anyone heading to Revelstoke. Thanks again for the wonderful stay! Me and a friend stayed here for 2 nights. The suite is much bigger than it looks in the photos! and has every convenience you could want. Hosts were very welcoming and helpful! Will stay again and would recommend. We had a truly lovely time at the snowdrifters guest house! It’s a gorgeous space with complete privacy, really a home away from home to call your own. Helen and Andrew are friendly, helpful and quite knowledgeable about the resort and surrounding backcountry. The shower is great, the kitchen modern and well stocked and the living room was a great place to unwind after a day of skiing at the mountain. We didn’t find them until the last day but there’s a great selection of ski movies and magazines that are not to be missed! They have really put a lot of time and thought into making this suite a great place to stay. The beautiful space plus easy access to the mountain and a short walk to downtown make this a spot we would definitely recommend to anyone heading to Revvy! We are a family of four with two little ones, ages 7 and 5. The set up at Snowdrifters was absolutely perfect! Every detail has been considered, and we easily live there longterm (if only). Snowdrifters is now our “go-to destination” for holidays in Revelstoke. We felt right at home during our stay. As a matter of fact, I slept so well I dreamed a local ski pro made us crepes and espresso for breakfast! My 2 sisters and I stayed for 2 nights at this amazing 2 bedroom gem in Revelstoke. So beautifully decorated, fresh flowers on the table and in the bedroom, coffee beans and grinder, full sized cream and milk in the fridge. So many nice little touches, everything you think you would need was there. Thanks for your hospitality Helen – we truly enjoyed our stay! Absolutely gorgeous apartment and great stay for us! We stopped in Revelstoke for only 2 days and would have loved to stay longer, as the apartment was the perfect stay! We met Helen and the kids who are really great hosts, providing us with a lot of info about Revelstoke, where to go for longer and shorter hikes, which are the great trails and what to do in Revelstoke itself. Breakfast was the best one could imagine, we were provided by Helen with fresh fruits, high quality foods and beverages. The apartment is spacious, also for 4 adults, we enjoyed the stay in the living room, as there are lots of infos as well as entertainment provided. The kitchen ist well equipped and maintained, the bathroom perfect (Ah! The shower!) and the beds are comfortable. Everything was more than clean. If we have the possibility to get back to Canada, we definitely think about Revelstoke as a main stay – at Helens Place! Amazing. Fantastic. Highly Recommend this B&B. August 9, 2014 I just had the pleasure of staying at Snowdrifters B&B for 7 nights with my husband and two children, ages 5 & 8. I can’t say enough good things about our stay there. I’ve split my thoughts into a few categories: The accommodations itself: It was immaculate, spacious, tastefully decorated, and very comfortable. The kitchen was well-stocked, including tea, coffee and hot chocolate, the bathroom with soap, shampoo and conditioner, and it was really convenient to have an in-suite washer and dryer. The location: so convenient. When you walked out the door and turned right, you were less than a 10 minute walk to the city centre or the very nice aquatic centre. If you turned left when you walked out the door, you were onto the greenbelt, and from there you could be on a paved path that wound its way into town, or you could take the fork, and go onto the gravel path that went for many miles, along the river, where you will find yourself away from civilization and surrounded by beautiful mountains. It was also only a 10 minute drive from the ski hill, or 20 minutes from beautiful Mount Revelstoke National Park. The hosts: so friendly, welcoming, knowledgeable and helpful. They also had kids, that welcomed our kids, easily sharing toys and books. And since they knew we were coming with kids, the hosts had a pile of brochures waiting for us, with all the activities in the vicinity that would appeal to kids. Anything we had questions on, they could provide first hand experience, and also offered up lots of ideas of things to visit, that suited our interests. Our first day there, they lead us to beautiful waterfalls, that you’d never be able to find without a local. I would go back there in a heartbeat – the family, accommodations and location were just amazing. Midway through a three week swing on the powder highway, this place felt just like home rather than ‘just a condo’. Sure the basement location took a bit of getting used to, but that was the only minor negative in a wonderful stay. Two very large bedrooms and great living areas meant we never felt claustrophobic or ‘cabin fever’ ish . If you’re reading this review, you’ve probably already made the decision to come to Revelstoke so no need for me to harp on about the amazing snow and terrain at the ski resort (we received a metre + of snow in the week we were here!). As a host Helen was wonderful. All the little touches, from the ski boot warmers and ski storage, well stocked kitchen, ski DVDs and magazines for the tv, all the necessities for the laundry, heated floors etc. We were travelling with family, including our two year old son who didn’t destroy anything try as he might. Perhaps the nicest thing was Helen’s regard for making our stay as positive as possible, be it shovelling out the driveway each morning, hooking us up with an extra ski pass, or giving top dinner and shopping recommendations. It genuinely felt like a home away from home, only a three min drive from the town centre, and a five minute drive from the ski resort. We were Revelstoke residents for the week, not just gaper tourists staying on the hill. One final point if you have kids and are skiing at RMR – Mountaincare daycare were terrific and by far the best day care service we came across at the BC Interior ski resorts. Snowdrifters in Revelstoke was easily the best vacation accommodation decision of my life. Helen and Andrew welcomed us as if we were long-time friends and guests of their wonderful home. Their generosity and friendliness was beyond belief – these are truly amazing people and we feel lucky to have shared time with them. The rental itself was luxurious and immaculately clean, but these are almost afterthoughts in comparison to the memories we have from spending time with our hosts. We are already looking forward to returning next year! Thank you Andrew and Helen!! !